Who says that summer only means theater blockbuster releases? Home video releases in the summer can be just as huge! 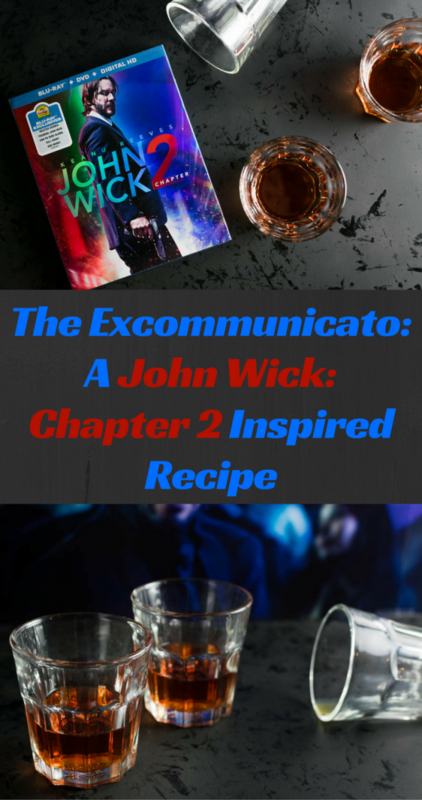 That’s why we are excited to share a new recipe for John Wick: Chapter 2! We’ve done several cocktails in the past. However, this is the first shot recipe we’ve done. Apt for a movie featuring assassins, don’t you think? In John Wick: Chapter 2, “legendary hitman John Wick [Keanu Reeves] is forced back out of retirement by a former associate plotting to seize control of a shadowy international assassins’ guild. Bound by a blood oath to help him, John travels to Rome where he squares off against some of the world’s deadliest killers.” This movie is a great follow up to the first one. It delivers exactly what you’d want, high impact action. Keanu Reeves rarely ceases to impress in an action role. We also love seeing Ruby Rose in more and more movies. The inspiration for The Excommunicato came from a few things. First off, we wanted to create a shot that we felt an action hero would want. That meant no sugary or sweet ones. We used Bulleit Bourbon as the primary spirit because we like the flavor notes in features and the name fit with our theming. The next spirit we used was Bruto Americano from St. George Spirits. It is a bitter apertivo liqueur which again fit with the theming of the movie. Finally, we balanced the shot out with a bit of Marachino Liqueur so that the shot wasn’t solely bitter notes. 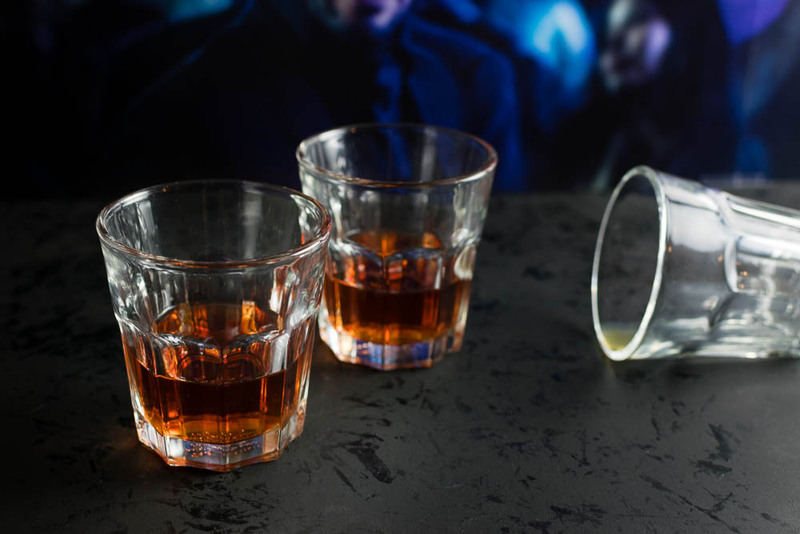 We hope you enjoy The Excommunicato shot! As always, drink responsibly! John Wick: Chapter 2 is out now on Blu-ray, DVD, and Digital HD! Combine all ingredients in a cocktail mixing glass with ice. The Geeks were provided with a copy of John Wick: Chapter 2 for research purposes. All opinions are wholly our own. View our Disclosure Policy for more info.